Sigma launches an elegant, responsive site on Mozu, allowing sales, conversions and retention to flourish like never before. 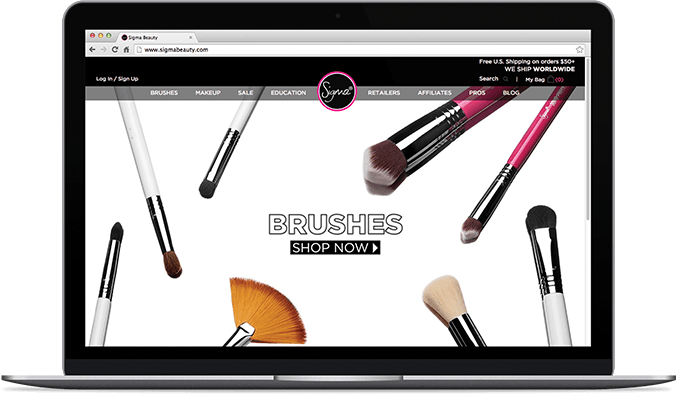 Sigma Beauty was founded in 2009, and quickly grew into a well-known international online beauty store. In December of 2011, Sigma Beauty opened its first brick and mortar store at the largest mall in the United States. With authorized retailers in 225+ countries, Sigma Beauty is a global company with a marked presence on all continents. Sigma Beauty uses science and engineering to constantly challenge the beauty industry status quo, and present clients with state of the art products in a state of the art experience. "We knew we needed an enterprise level platform that would accommodate our growing needs. That was the most important strategic decision. Going into the project, we felt nervous but were confident in our partners." Sigma’s user base has typically been an active, younger demographic, most of which had been introduced to the brand through social networks. Sigma’s biggest challenge was to make sure they were offering this specific segment the best experience possible. 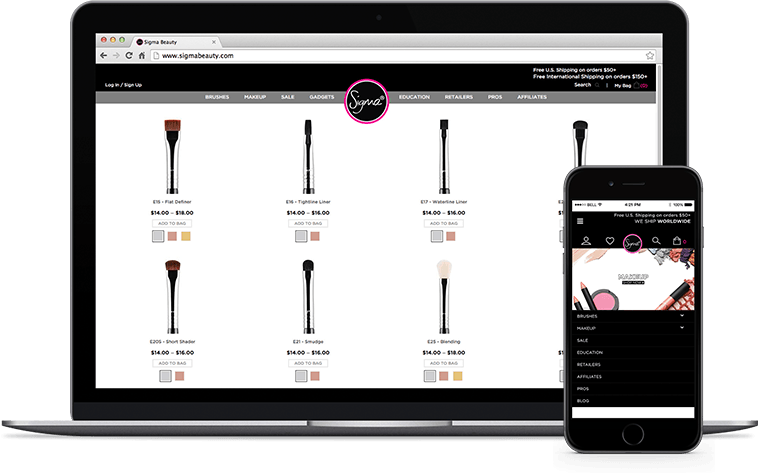 Sigma Beauty was looking for a way to visually showcase their color cosmetics on a virtual face that was easy to maintain, simplified the buying process and engaged a younger audience. They’ve had a similar experience on Facebook, but wanted to create that same experience on their ecommerce site. They launched ‘Face Charts’ using a Mozu widget that can be easily modified by the marketing team. 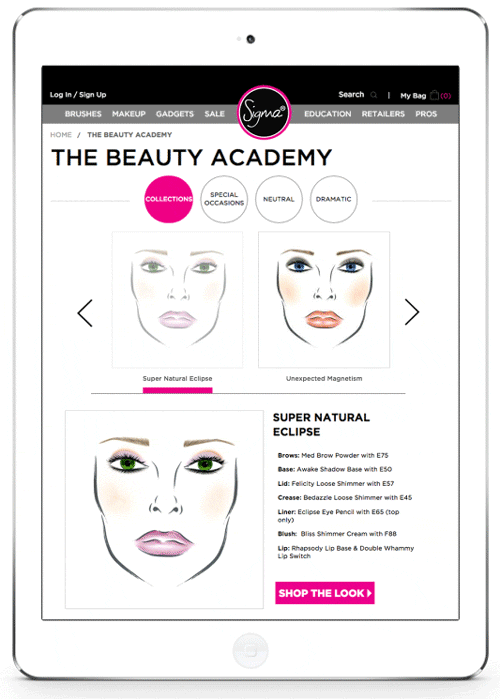 Using the interactive Face Chart, customers can shop the look and purchase the cosmetics and brushes. This advanced experience is unique to Sigma Beauty.